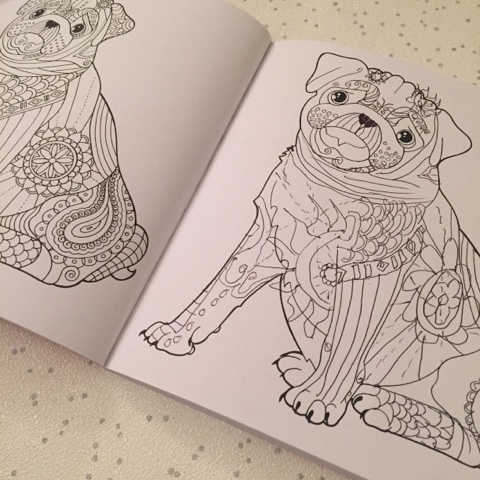 I've already shared with you before my love of colouring both on my blog and on my You Tube channel. 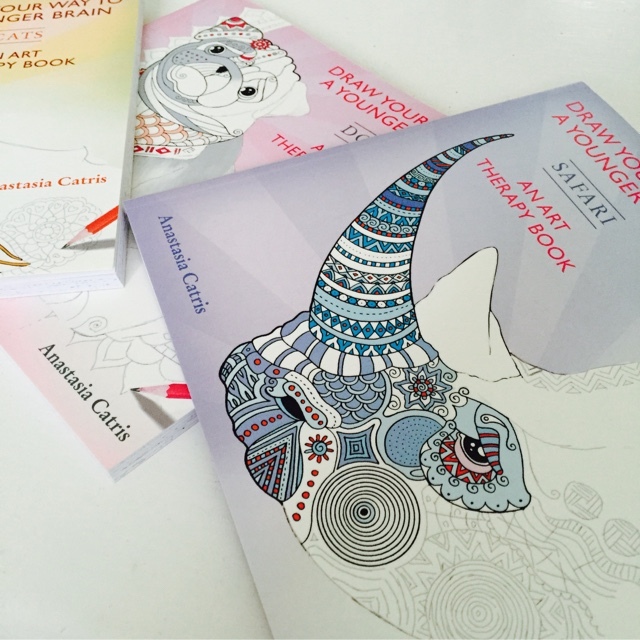 One of my favourite colouring books came from Anastasia Catris with her Colour Me Mindful books. And now she is back with a brilliant new series of books, Draw Your Way To A Younger Brain. 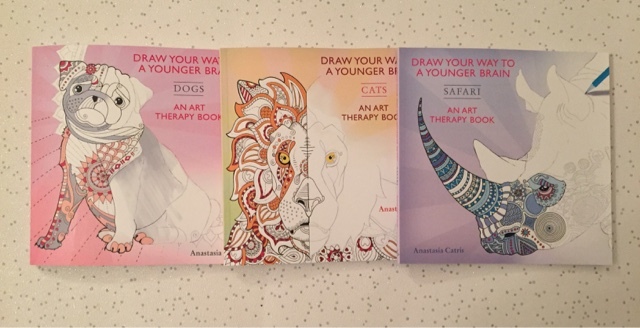 Each book contains 30 different drawings of various animals depending on the theme of the book, on opposite pages there are spaces for you to try out varying techniques yourself and helpful hints throughout to encourage you further. From copying patterns produced to drawing your own images within the gaps left, there are plenty of activities to keep you occupied. Intricate line drawings mean you really have to concentrate on what you are doing and I do think this gives you maybe not a younger mind but most certainly a sharper one as you begin to look for more details and I feel that this in turn has you noticing more of your surroundings in day to day life. 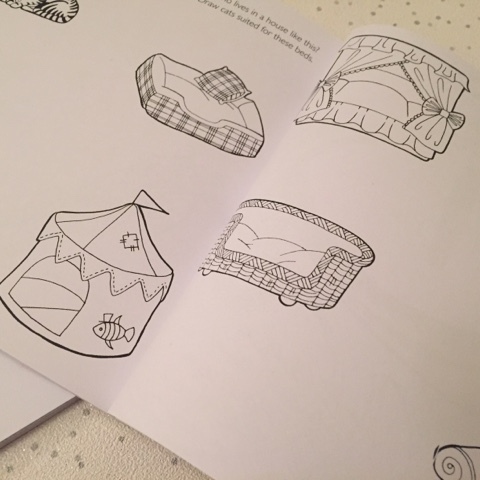 Of course this series isn't just about drawing, there is also the added bonus to this book that you can colour in the drawings once completed and I can't tell you enough just how relaxing colouring in can be! It wasn't just me making the most out of these books. My children were keen to have a go at the numerous drawings too. You can see one of my 8 year olds efforts below, not that she needs a younger brain just yet. 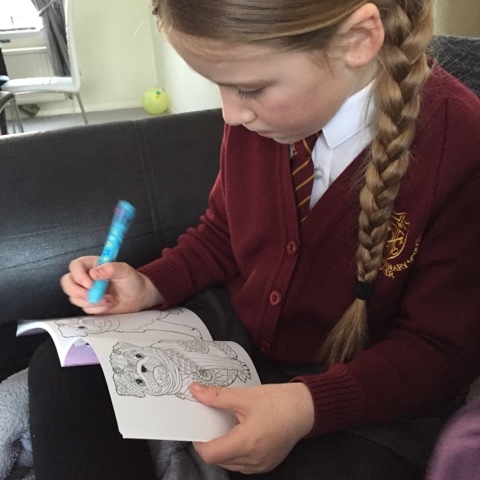 Priced at £4.99, the Draw Your Way To a Younger Brain books are brilliant for all ages and all abilities when it comes to both drawing and colouring. They are also the ideal size to pop in your bag, something to keep you entertained when travelling to work perhaps? A lovely step up from the Colour Me Mindful series. 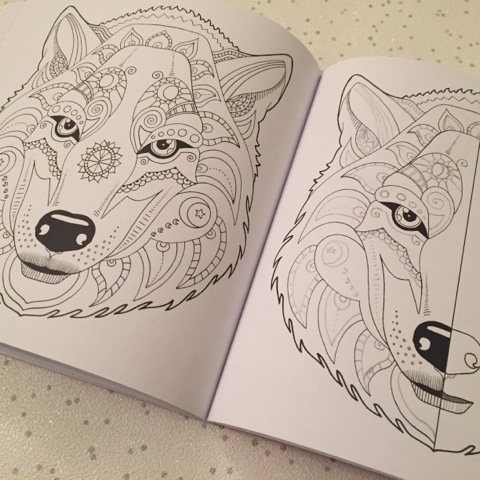 I think I prefer the idea of these books to just colouring in. I'm hopeless at drawing, but I think haven't something to copy would help. oh i love colouring loads too, although i havent had much time lately. These look reaally good ones to colour. 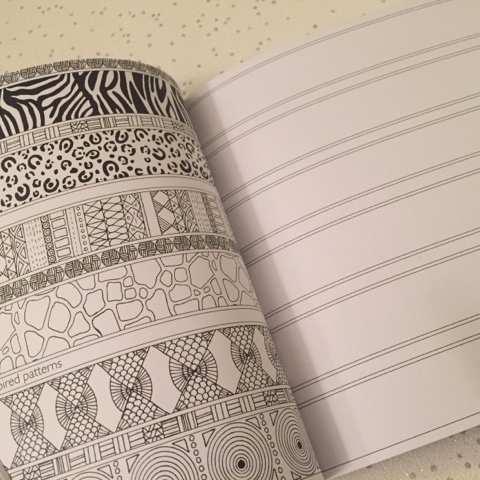 These look great, I only wish I could find the time to do some colouring. Babies are not good colouring in companions!